A custom kitchen or bath remodel can completely transform your home. Are you weighing a home remodeling project against the idea of purchasing a new home? If so, you’re not alone. It’s a common dilemma for many homeowners in the Houston area. The housing market in Houston can be difficult to navigate at times, and finding the exact house you want for a reasonable price is not easy. Furthermore, relocating your family from a comfortable area presents another set of challenges. For some, a home remodeling project may be the best option. • To what extent must you remodel a newly purchased house to make it your dream home? • Can you receive the desired value when selling your current house? • Will a move prove too disruptive to school, work and recreational routines? • Can you find a trustworthy contractor capable of remodeling your current home for a fair price? • Will a remodel significantly increase the value of your current home? You really love your current location: If your family has grown fond of the neighborhood in which you live, consider remodeling the home you already have. Many homeowners love their current area, but they’ve fallen out of love with certain aspects of their home. Perhaps the family has grown and they need more space. Or, the color schemes and style looked great last century but are now worn and outdated. A well-designed room addition or new custom kitchen or master bathroom can completely transform your home. When you choose home remodeling, you can remain close to friends and familiar amenities, and your kids won’t have to adjust to new schools and recreational activities. You can’t find your dream house: Unless you’re prepared to build a new, truly custom home, finding the “perfect” dream house can be difficult. Existing homes for sale reflect the previous style preferences and functional needs of the current owners, not necessarily yours. You may find a house available for sale that you love, but is the asking price what you want to pay? In many cases, home buyers remodel to some degree after closing to make the house fit their preferences. They spend significant time searching, buying, selling, financing, moving and remodeling. Maybe it would be easier and less costly to simply customize the house they already have. Home remodeling offers a good return on investment: High-quality home remodeling projects have proven to be good investments over time. Upgrades such as custom cabinets, granite countertops, and enlarged showers provide not only more daily enjoyment, but also increased resale value in the future. You may be able to recoup most if not all of your home remodeling investment in the form of a higher sale price five or 10-plus years down the road. Those custom upgrades will make your house stand out. If your home is relatively undervalued for the area, remodeling can eliminate that valuation gap quickly. This article was provided by a member of the Remodelers Council of the Greater Houston Builders Association. 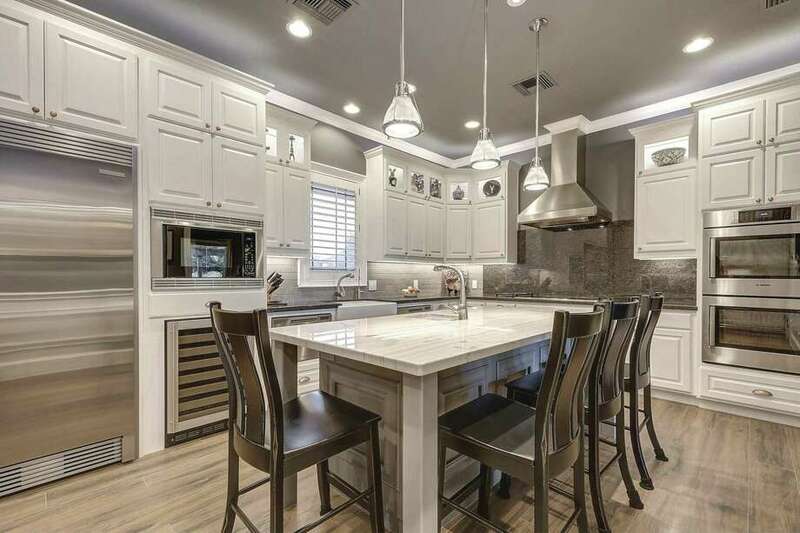 The Remodelers Council is dedicated to promoting professionalism and public awareness of the remodeling profession through education, certification and service to the Houston community. For more information on this article, contact Lorraine Hart at lorraine@idealconsulting.net.